This is the largest and most significant book project ever undertaken by Chris as both a photographer and publisher. In cooperation with the Cariboo Chilcotin Coast Tourism Association and all its stakeholders, Chris has explored and photographed the entire region in an attempt to capture the essence of the area’s Beauty, Biodiversity, and its People. Subscribe to Chris’ Newsletters, follow us on Facebook, and periodically visit this website for the latest on how you can be involved. The final book of Chris Harris’ ‘Legacy’ series of publications presents to the world the vast, spectacular,and most diverse landscapes of British Columbia’s Cariboo Chilcotin Coast. 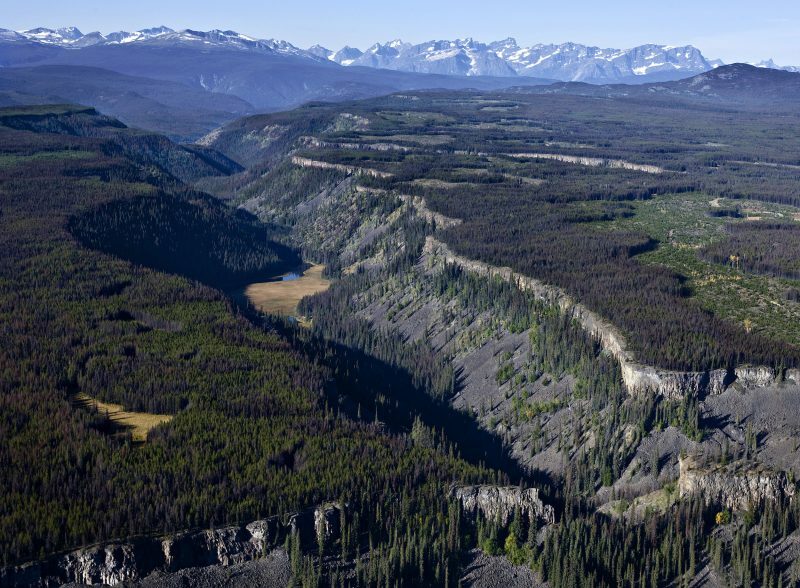 One of these pristine landscapes, the ‘Chilcotin Ark’, a gem of global significance, will be brought to light for the very first time. This area is alone in the temperate world with it’s wealth of bio-diversity and sustainable intact eco-systems. In stories and pictures, Chris Harris brings us home to this intact region of the planet, reprieved from the human rush to dominate it. This book is for everyone who has ever yearned for renewed connection to the energies of the earth. It’s a testament to understanding, determination and vision, and confirms that we can all return to sacredness. Join a voyage of discovery into the mysterious world of British Columbia’s Planetary Refuge–the Chilcotin Ark. Utilizing the principles of successful evolution and adaptation as outlined in James Lovelock’s Gaia hypothesis, the Ark exhibits a blueprint for survival in these times of unprecedented global change; a forgotten blueprint we sorely need to revisit if our species is to experience a vigorous, vibrant future. 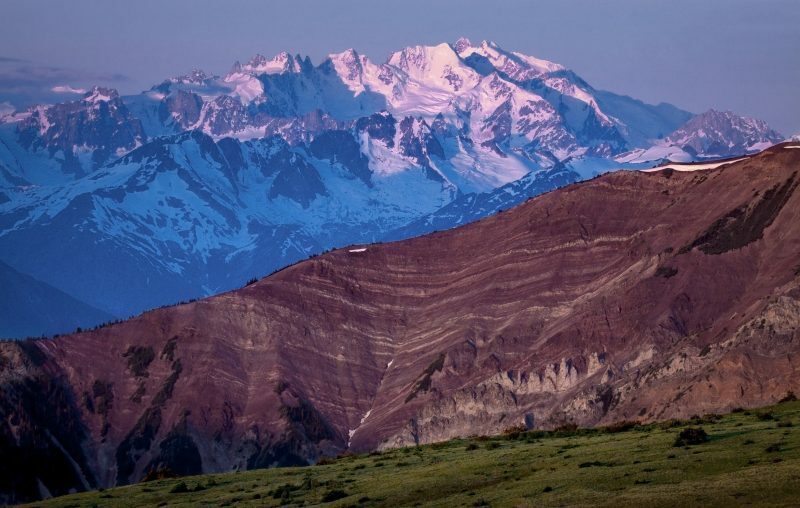 As North America’s most diverse wilderness complex, the Chilcotin Ark provides protection and sustenance to a myriad of temperate latitude species, performing the same function as the Arctic National Refuge does for Arctic ecosystems. The Cariboo Chilcotin Coast book is educational, beautiful and inspiring as it transports you into a land of clean water and pure air where primordial landscapes create a safe haven for thriving temperate ecosystems. With his keen eye, award-winning wilderness photographer Chris Harris takes you on an exciting visual journey to reveal the Ark’s secrets. 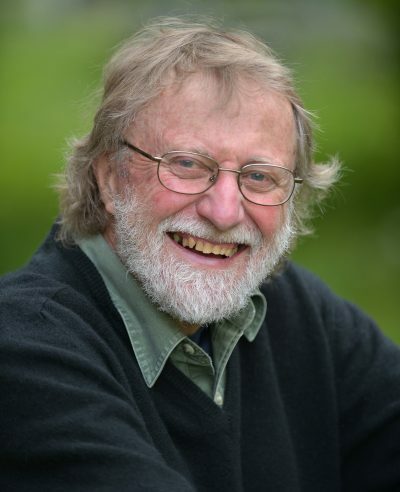 The commentary by Dave Neads, a passionate advocate for wilderness, conveys a sense of beauty and understanding that we need as our society searches for new ways to cope with the cultural and economic upheaval we are facing. Remarkable in scope yet simple in concept, a journey into the Planetary Refuge of the Chilcotin Ark is an exploration you will never forget. 108 Mile Ranch: Country Light Publishing, 2016. 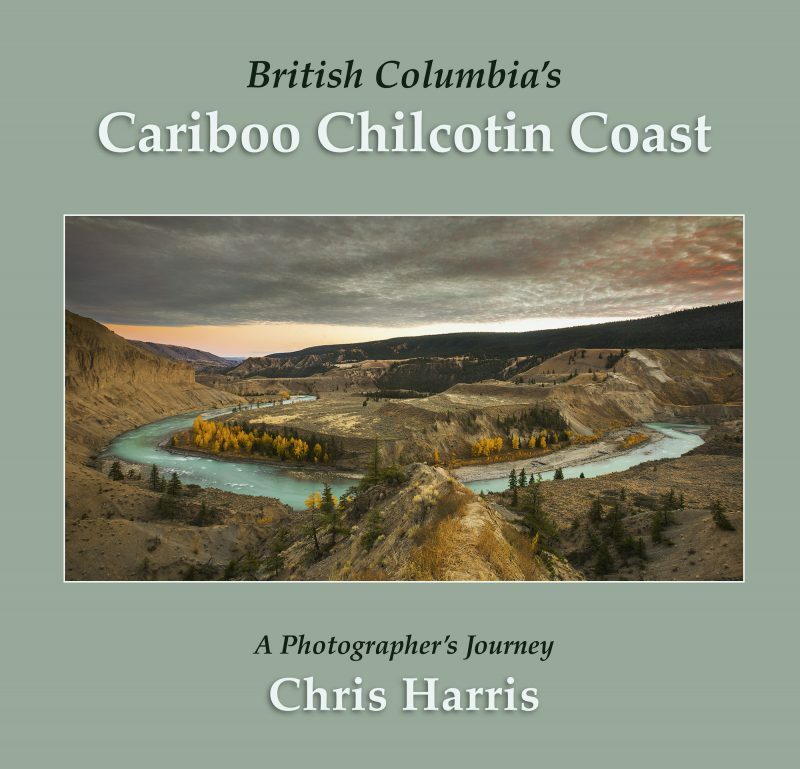 Featuring remarkable photographs and valuable text, Chris Harris’s latest book is a both a guided tour and a tour de force of the Cariboo-Chilcotin region and adjacent coast. Reviewer Trevor Marc Hughes opens enticing windows into the geology, natural history, biodiversity, and stunning visual attributes of the Chilcotin Ark, a newly-coined wilderness area that extends from Tweedsmuir Park to the Fraser River. — Ed. Anthropologist Wade Davis calls Chris Harris “one of Canada’s finest nature photographers.” A quick glance through the pages of British Columbia’s Cariboo Chilcotin Coast: A Photographer’s Journey, Harris’s most recent oeuvre, establishes how dedicated he is to capturing the places he loves. The images are exquisite. From the start, Harris creates a distinct mood. It’s to do with the connection he makes to his chosen home. It’s clear that he reveres it. And his argument for the Cariboo Chilcotin is made with his camera. The work resembles Wade Davis’s opus on the Stikine River Valley, The Sacred Headwaters (Greystone, 2011), in that it calls attention to a certain part of the province with the intent to welcome adventurous and respectful visitors and discourage industry. Throughout the book there is mention of the Chilcotin Ark, a 2.5 million hectare tract of wilderness encompassing a unique ecosystem extending from the province’s tallest mountains to dormant volcanoes, ancient rainforests, and retreating glaciers. Harris, an adventurous spirit, has been a guide in this area for many years. The region has deepened his sense of place. He loves his life and work in the sublime Cariboo and Chilcotin plateaus and their incomparable mountains. We travel with Harris on various journeys through the different environments the Ark has to offer. Along the way he chronicles the history of the land. Readers will also relish his descriptions of natural solitude, ranging from the dip of a canoe’s paddle in the Bowron Lakes, the call of a kingfisher, to the jaw-dropping sight of an immense ancient Western red cedar. In the “Halls of Wood” of the ancient forest east of Isaac Lake, Harris enjoys his photographer’s perspective within these massive trees with diameters of five metres, some possibly as old as 1,500 years. In some ways, Harris’ book is also reminiscent of Carmanah: Artistic Visions of an Ancient Rainforest by the Western Canada Wilderness Committee (Raincoast Books, 1989), published in response to the possibility that the ancient hemlock and Sitka spruce of southwestern Vancouver Island’s Carmanah Valley would be logged. For Harris, the perceived threat to his region comes from global warming, mining, and development. The Waddington Massif in the Chilcotin. With detailed maps to guide readers, the book boasts a specificity not present in books of its kind. Part guidebook, part travelogue, part visual smorgasbord, it is ambitious in scope. We know where Harris and his travel companions are at all times. Sometimes Harris considers it desecration to photograph certain aspects of the landscape, the grandeur of which makes him feel insignificant. It is as though the deep natural and human history needs to be acknowledged before an image can be captured. One such time is when he came face-to-face with a massive glacier that provoked a reverential state in Harris, who decided that taking photos would be sacrilege. The glacier’s awesome presence and antiquity reminded him that he was following in the footsteps of the First Peoples, who since time immemorial made such pilgrimages without the need to capture images along the way. 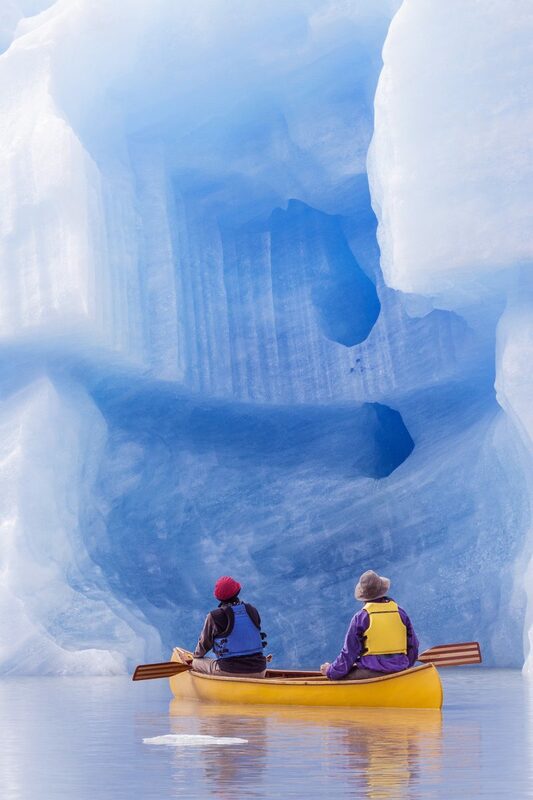 Facing the ice: Chris Harris views Jacobsen Lake icebergs while canoeing. The section of the book that describes a journey through the Anahim Volcano Belt is notable for its close dedication to natural history, making British Columbia’s Cariboo Chilcotin Coast more than just a photographic reconnaissance. The shield volcanoes northwest of Anahim Lake defy age. Millions of years old, the Rainbow Volcano has withstood two ice ages. Here Harris points out the innate wisdom of these aspects of the natural world. For him, even jagged, eroding lava remnants have their own story, their own personalities. From the experienced photographer’s vantage point, capturing these environments is an exercise in finding light. The challenge to an author is describing that light. 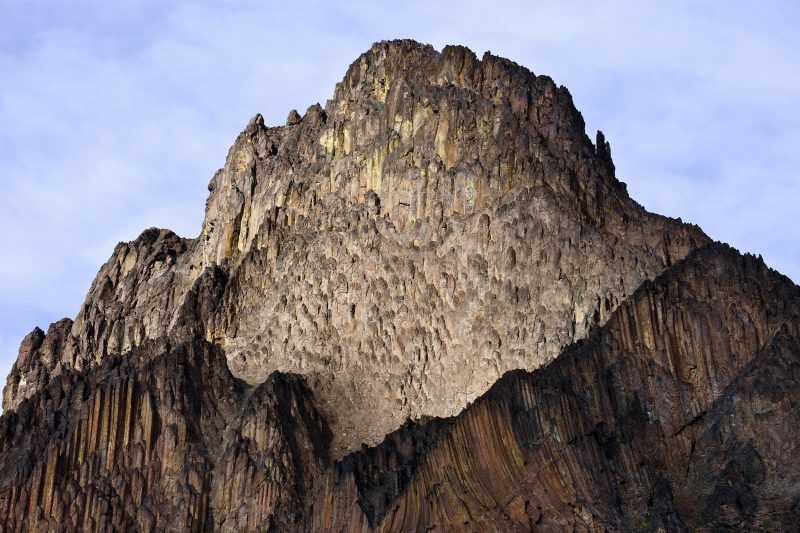 When a shaft of light hits the basalt of Pipe Organ Mountain it’s hard not to cheer Harris for this ideal opportunity to capture the image through his viewfinder. This is nature photography at its superlative best. Pipe Organ Mountain in the Illgachuz Mountains of Itcha-Illgachuz Park. At every turn Harris looks into natural history and the stories the land has to tell. But in The Fjordlands and the Coastal Rainforest section, the tone changes. Here Harris looks more on the human history of the area approaching the Bella Coola Valley. 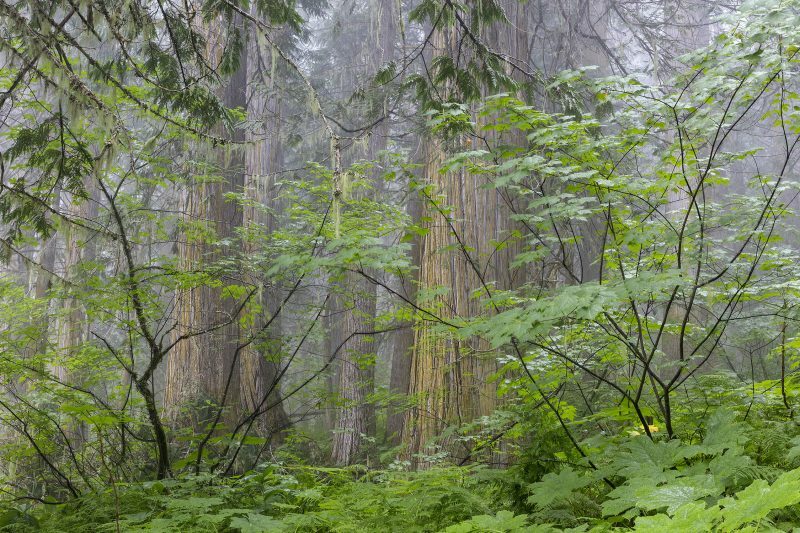 He investigates the ways of the Nuxalkmc (Nuxalk, previously Bella Coola) people, and learns the cultural uses of cedar trees for bark and planks. He also travels The Precipice, a ten-thousand-year-old trail used by nomadic hunters in an ages-old valley of eroded basalt. Harris tells of a depository of obsidian, a volcanic glass traded extensively within Indigenous British Columbia. What’s clear in Harris’s tale is that modern industry has been short-lived and fleeting in the Chilcotin Ark. He compares the ancient obsidian trade route with the short-lived pulp and paper mill of Ocean Falls and a derelict logging wharf in Kwatna Bay. It’s a germane and fitting comparison. The Precipice in the Chilcotin region. I am not sure who would dare contradict such a conclusion. A book for anybody with a love of nature and the province’s natural history, British Columbia’s Cariboo Chilcotin Coast captures, with its breathtaking images, Harris’s sense of excitement when he wakes up early to catch the sunrise over a pristine lake, absorb the solitude and peace of being alone in the wild, or climb in the astonishing Rainbow Mountains. At times bordering on the poetic, this is not an ordinary collection of photographs from the natural world. It’s a love letter to a region the author admires and respects – and a letter that invites his readers to appreciate it as deeply as he has. Trevor Marc Hughes lives in Vancouver with his wife, Laura, and his two sons, Michael and Marc. If he can help it, he doesn’t ride his motorcycle in Vancouver; he takes it out of town, where he enjoys exploring British Columbia. His focus is speaking and writing about his adventures and learning more about his home province’s history. A former actor, he was in the regular cast of CBC-TV’s Northwood and worked as a broadcaster at CBC Radio Vancouver, mainly with The Arts Report. His two books are Zero Avenue to Peace Park: Confidence and Collapse on the 49th Parallel (2016), and Nearly 40 on the 37: Triumph and Trepidation on the Stewart-Cassiar Highway (2013), both published by Last Autograph Press. He has written for magazines such as Canadian Biker, Rider, Motorcycle Mojo, Inside Motorcycles, and RidersWest. 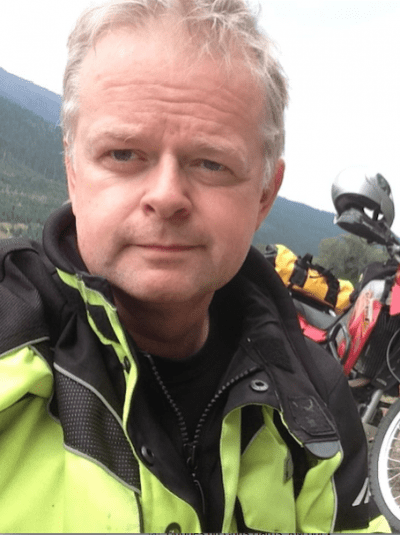 In 2016 he spoke at Horizons Unlimited Canada West, a gathering of overland travellers in Nakusp, giving a presentation he calls Riding Across Historic British Columbia.